Arvind Kumar has held various positions in engineering, manufacturing, and information technology. He has 20 years of enriched experience in designing niche solutions in SAP/Big Data, SAP HANA and IT Projects across the globe. He is a pioneer in analysis, design, development, testing, and implementation of customized ERP (SAP), Big Data, and Hadoop solutions for new implementations and upgrades. He is experienced in delivering complex solutions in various IT/SAP projects using expert-level skills. Arvind earned a Bachelor of Engineering in Electronics and an MBA in System Management in India. Arvind Kumar began his Information Technology career in 1998. From there, he progressed through several IT leadership roles in diverse industries and technologies. Arvind Kumar is a technology expert and passionate problem solver. He is SAP Order to Cash, SAP Procurement, SAP HANA and PMP Certified. His Articles on “MAP R and Hive” and “IOT” have been widely referred to by small and large-scale industries. Arvind also won “Best of IBM” and “Expert Author Award” from IBM. Based in the United States, Arvind is the proud father of two young children. Nehal specializes in delivering risk business consulting and technology for financial risk management. He is a seasoned professional with deep expertise in risk and finance integration. He has been in the industry for 10+ years serving various financial institutions delivering business expertise and end to end risk architecture for large scale risk and finance transformations. Satish Kumar Boguda, an exceptionally gifted IT software engineer situated in Sandiego, California, with more than 12 years of experience by serving different industry clients in Oil and Gas, Utilities, Production, Manufacturing, Supply Chain, Sales, Finance, Transport and Energy divisions through significant implementing partners Wipro Technologies, Intelligroup – A NTT Data Corporation, Applexus Technologies, and so forth. Mr. Satish is a technology evangelist with key aptitude through understanding the genuine estimation of center innovation in computerized change and by utilizing technology adequately as an upper hand in conveying business results. 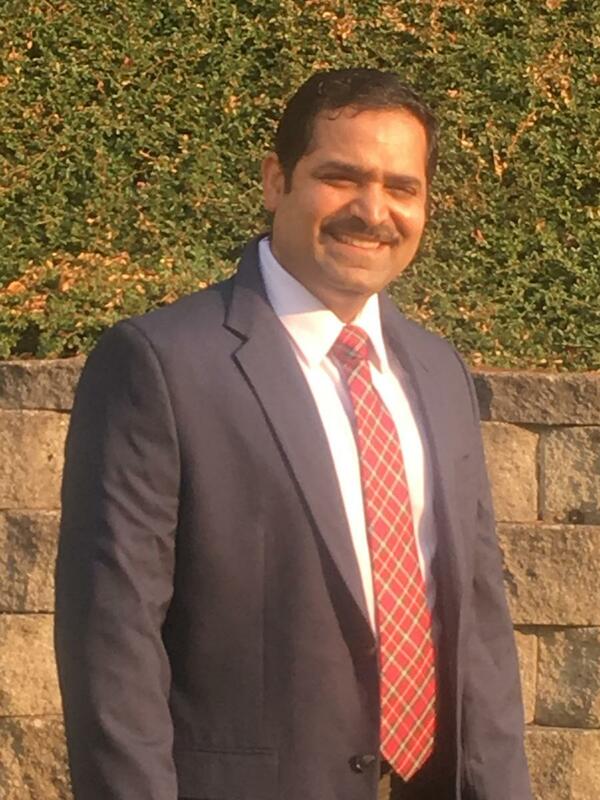 Through his insight, Satish enables organizations to exploit rising advances by adjusting innovation thoughts, addressing complex issues, cautiously delegating tasks, and appropriately overseeing time. This prompts more income, high productivity, consumer loyalty and focused client advantage. Satish has valiantly strived to arrange his insight capital at apex of his profession with specializations from esteemed foundations including Stanford University's "Machine Learning," Harvard University's "High Dimensional Data Analysis." He is likewise one of the world's few Data Scientists specialized by IBM. He is among the best few data science executives around the world authorized from John Hopkins University. Sai Sharan Donthi is a software engineer by profession with 12 years of experience in building software systems for financial industry. Sai currently works at Credit Suisse in Risk and Finance Visualization and Analytics group. Sai brings a unique cross section of business acumen, deep technical knowledge and innovation outlook to develop business critical solutions for Credit Risk, Market Risk, Product Control and Group Finance Organizations. Sai has a masters in software engineering from Carnegie Mellon University and has worked at Accenture. Siddha Ganju, who Forbes featured in their 30 under 30 list, is a Self-Driving Architect at Nvidia. Previously at Deep Vision, she developed deep learning models for resource constraint edge devices. A graduate from Carnegie Mellon University, her prior work ranges from Visual Question Answering to Generative Adversarial Networks to gathering insights from CERN's petabyte-scale data and has been published at top-tier conferences including CVPR and NeurIPS. Serving as an AI domain expert, she has also been guiding teams at NASA as well as featured as a jury member in several international tech competitions. Steve Iffie is the President & CTO of GlossiveTech. He has over 21 years experience in designing and programming highly responsive mission critical Enterprise and Cloud-based Business / Education software that is accessible on Desktop, Tablet and Mobile. He is the unique avid learner type that can best be described as a "No-relenting, no-quitting Student, Worker, and Innovator". Where others see the glass as half full or half empty, he sees both sides as equally important. He believes you can do both at the same time and excel beyond your limits. Pratik is a result oriented IT leader having more than 17 years of experience in Software Development where he has designed, developed and managed small to highly complex software solutions for various industries. As a Portfolio Manager, he has managed large projects through Agile Portfolio Management, and he is passionate about solving complex business problems through the new and innovative way through technology. He is a Fellow Member of the prestigious British Computer Society. IT Leader with multidisciplinary industry experience. Leading and managing IT staff of different disciplines to facilitate IT strategy and execution of customers’ organizations. Which involves but is not limited to meeting long term IT goals, developing and controlling budgets and activities, applying change, risk and resource management. As a Senior Program Manager I am responsible for program performance and maximizing program and projects’ ROI, managing team with diverse array of talents and responsibilities. In short term, I manage changes and interventions to ensure project goals are achieved and in long term ensuring goals are met in areas such as customer satisfaction with increased opportunity to grow business for organization. As account manager - strategizing and overlooking recruiting activities. A highly motivated and successful international Business Technocrat with 19 years of IT Services, Management and Consulting experience. Engineering from IIT and MBA from ISB, continues the education in Leadership at Harvard. Successfully advised CxOs & key leaders of Fortune 1000 companies across different industries like Communications, Technology, Retail, HealthCare, Life Sciences, Banking & Financials, Market Research. I am playing the role of 'Technical Leader' in current assignment at TD Bank. Ioannis Saratsidis has been President of PC Pal Global since its inception is 1999. He has more than 15 years experience in information technology and business development supported by certification in numerous disciplines from several vendors. Marketing Professional and Technologist with over 15 years of experience building and scaling companies from startup to IPO and beyond. Right now responsible for building the marketing platforms and products at HPE and driving revenue digitally. Speaker at global marketing conferences (Marketing Nation Summit, MarTech).